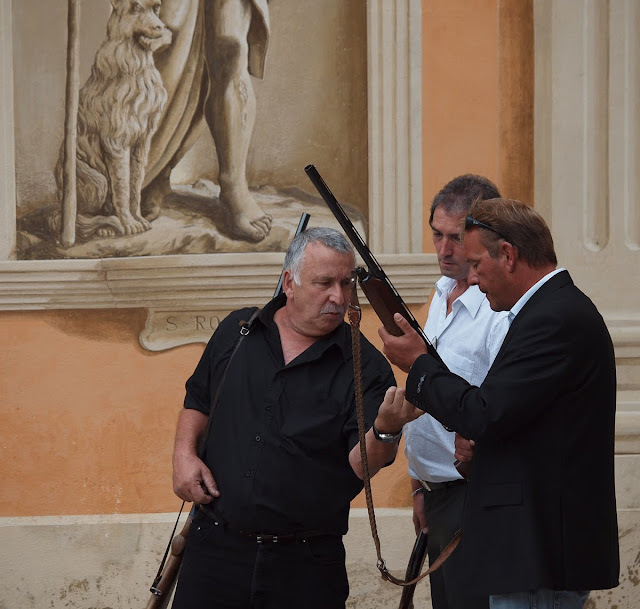 Menton Daily Photo: A Village Wedding - Block your Ears! The ceremony continues inside the church. Suddenly several men appear, guns at the ready. The bridegroom is a hunter and these are his hunting buddies planning a guard of honour to greet the happy couple. La cérémonie se poursuit à l'intérieur de l'église. Soudain apparaissent plusieurs hommes, fusils à la main. Le marié est un chasseur et ce sont ses copains de chasse qui préparent une haie d'honneur pour saluer l'heureux couple. Woa, this would never fly here in Israel. 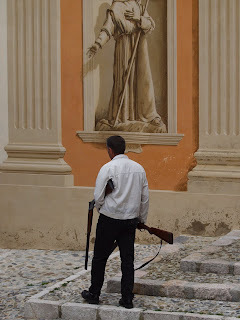 The Christian churches are very strict about not allowing firearms inside or next to the church. Which is more dangerous--guns or high heels on cobblestones? Gives new meaning to the term, "Shotgun Wedding"! aye yie yie...with the world so topsy-turvy i was afraid for a moment there was a security issue in beautiful Gorbio. 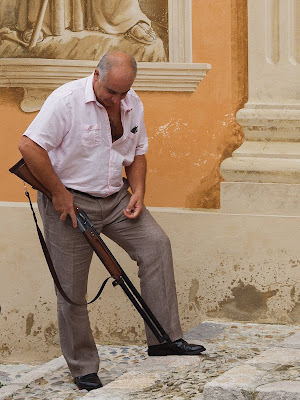 I hear that in Greece they celebrate afterwards by shooting guns in the air. I thought this might be a Gorbio tradition as well. Jilly, you should give this series to the bride and groom. Such wonderful memories for them. I'm always scared of firearms. 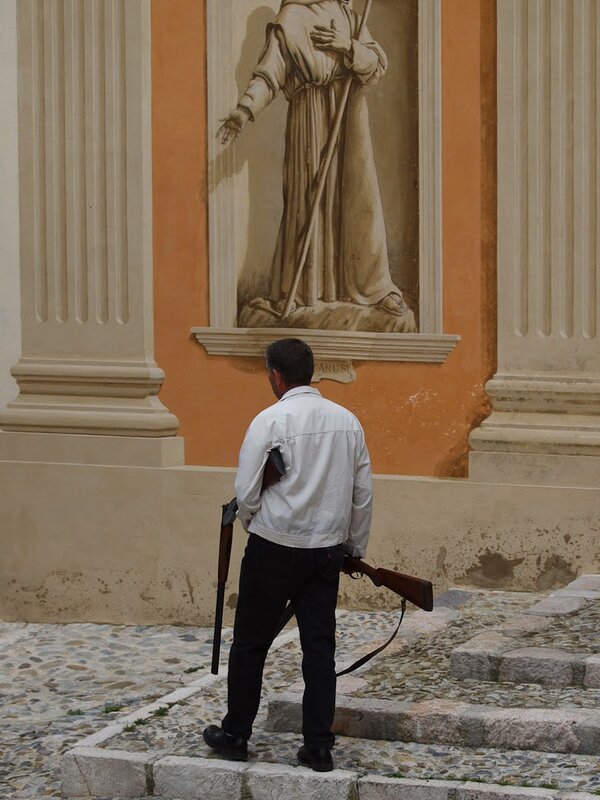 To me they hardly belong in front of a church but who am I to discuss village traditions ?